Today was extraordinary. We awoke to blue skies, navy blue water, and relatively calm seas. We were on our way to Shag Rock. 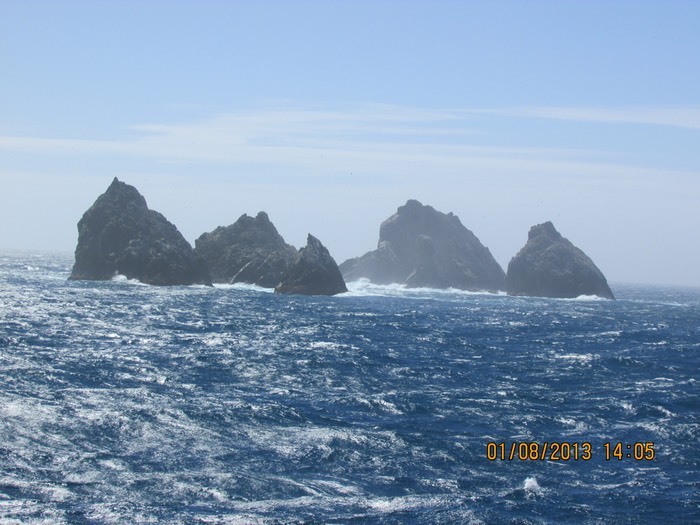 These are actually ocean mountains whose peaks extend above the water. 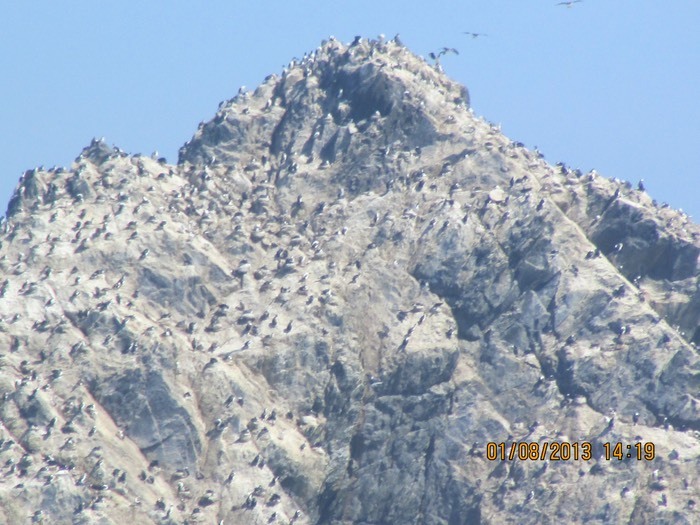 They are home to shags, another name for cormorants. Our captain took the ship around the rocks, and then spotted a whale, which only a few of us saw. Just a bit ahead, we were surrounded by whales - humpback and fin whales. Everybody got to see whales and commented that this alone was worth the price of admission. They were everywhere as far as the eye could see. We spent most of the afternoon following them about. They were very close to the ship however, those of us without extraordinary cameras couldn't really get shots of them because you would have to take continuous photos to catch them breaching. We returned to our cabins to get ready for the 5 o'clock lecture when I heard a sound outside my cabin that was unmistakably whale. I went out on my deck and the whales (fin whales) were next to the ship and feet away from me. I grabbed my camera and put it in movie mode and just started filming until my battery ran out. I haven't had much success uploading video to this web site, but I'll try to get some pictures. Almost everyone on my side of the ship shared that experience, which I gathered from the oohs and ahhs and shrieks I heard when I was out on my deck. When I get home, I'll try to post my whale movie on YouTube. Hard to imagine seeing so many whales at once.